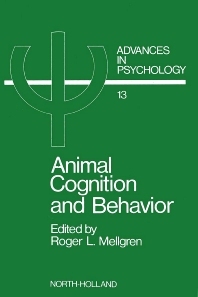 Contributed chapters by psychologists and behavioral biologists provide a broad coverage of animal behavior, and governing brain processes. Topics covered include: foraging behavior and strategies, economics and psychology, memory of events and space, time perception, expectancies, food preferences and diet selection, behavior variability and the concept of mind. The volume is designed to satisfy an intderdisciplinary audience, embracing the behavioristic tradition, biological and physiological approaches, and evolutionary theory as philosophical underpinnings to the chapters. Also achieved in this work is a good balance between empirical results and theory.